victims for over 40 years. 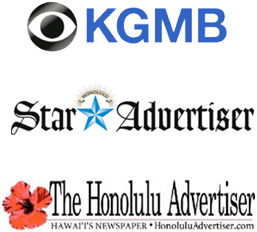 Protecting Hawai'i car accident victims for over 40 years. Despite the appeal of paradise throughout the state, Hawai’i residents and vacationers are impacted by car accidents, the same as anywhere else in the country. Car accidents are always a headache to deal with, even those which are minor fender benders. The more severe a car accident, the more severe the consequences are to an individual, their property, and possibly their future. Personal Injury Attorney Dennis W. Potts has more than 40 years of experience and understands how difficult a time this can be for you and your family. If you or a loved one have been involved in a car accident, you need the help from our experienced Honolulu Car Accident Lawyer. According to the Association for Safe International Road Travel, approximately 1.3 million people are killed in car accidents each year – averaging 3,287 each day. Out of this number, approximately 100 were killed in Hawai’i in 2014, indicated approximately 7 deaths per 100,000 people. This is a low number compared with the rest of the country, although not as low as states such as New York. This number also represents a significant drop from the prior ongoing annual average of 135 car accident deaths in prior years.. However, out of this number, nearly half of all fatalities in car accidents in Hawai’i were due to alcohol-involved crashes. The state of Hawai’i has carefully examined the crash statistics in the state over the last several years and has implemented many local policies and laws to help curb the incidence of car accidents. However, despite the increased efforts of law enforcement officers, car accidents cannot be completely prevented, and therefore victims of severe car accidents are still entitled to bring a claim for damages in certain situations. As a result of these studies, Hawai’i took immediate actions to combat the number of accidents occurring on the roadways by implementing laws and policies which would cause drivers to receive increased traffic citations or criminal charges after such negligent behavior. During 2012, Hawai’i reported the extreme steps it took to lower the number of serious injuries and fatalities caused by intoxicated drivers. The state instituted a “52/12” enforcement program which includes one sobriety checkpoint each week during the year in order to reduce the number of drivers operating a vehicle while under the influence. During implementation, 600 checkpoints throughout the state resulted in 450 arrests. The number of arrests of intoxicated drivers almost doubled between 2008 and 2011, in an effort to curb the number of devastating accidents on the roads. It is clear from the annual statistics that this effort has made a difference throughout the state, dropping the total fatalities by approximately 1/5. The state has also unveiled campaigns to combat distracted driving which is another leading cause of car accidents in the state. The prevalence of cell phones and the ever-increasing incidence of social media use has altered the way drivers act in their vehicles. Many drivers utilize Google Maps while driving, while others insist on texting or making Facebook posts while driving. This type of distracted driving has severe consequences on the driver and on anyone on the road. Distracted driving has recently been found to be more dangerous than drunk driving, and it is ever evident in the ongoing crash data. During 2012, police departments issued nearly 5,000 citations related to the operation of a motor vehicle while using a handheld electronic device. Another major cause of car accidents throughout the state involves speeding. The Hawai’i Department of Transportation has also taken extreme steps to curb the number of speed-related accidents and corresponding fatalities through administering heightened traffic citations to speeders. However, despite the best efforts of law enforcement officers over the last decade, car accidents continue to occur throughout the state and have lasting repercussions on accident victims and their families. Many accidents occur to tourists throughout the state, ruining what should have been a stress-free vacation far away from the mainland. Unfortunately, tourists who were accident victims could spend months and even years pursuing insurance claims and personal injury claims after an accident. It is important to speak with a personal injury attorney you can trust after a car accident, who is well versed in Hawai’i personal injury law. It is difficult to bring a claim for damages from a different state, especially one which is across an ocean, but you should continue to pursue your right to damages after a severe accident. As a resident of Hawai'i for over 45 years, Attorney Potts has a great understanding and compassion for the people and culture of Hawai'i ne. With this experience, he is able to navigate the nuances of the Hawaiian legal community and provide his clients with extraordinary results. Mr. Potts has received millions of dollars in recovery, settlements, and judgments in his clients' favor. Since 2007, he has had a 100% success rate obtaining favorable outcomes for his clients. He knows what it takes to maximize the value of your case. Attorney Potts can guarantee his clients that their case will be personally handled by him, and not by a junior associate, paralegal, or intern. Clients meet with Attorney Potts personally, and he keeps close communication with them throughout every step of the legal process. With more than 40 years of experience vindicating the rights for victims of injury or property loss, Dennis W. Potts is one of Hawai’i’s preeminent civil litigators. Many of these injuries not only require immediate medical care that could last months but a complete lifestyle change. The impact of these injuries could also force victims to take a leave of absence from their job, or find a different line of work. Many jobs in Hawai’i are in the tourism industry, and the inability to walk or lift heavy items could be extremely detrimental to an ongoing career in the same industry. After a severe accident, there are many expenses which begin to pile up for victims. Hospital fees alone for just a few days of medical care can be astronomical, depending on the victim’s health insurance plan. However, the failure to have decent health care coverage should not impact the victim’s ability to bring a claim for damages when a severe accident caused by the negligent actions of another person led to terrible injuries. As discussed below, Hawai’i insurance policies will only consider medical expenses. Therefore, if your case falls within an exception to the No-Fault insurance requirements, you will also be able to include damages which take into account future earnings and the emotional impact of the accident. An experienced attorney will work with you throughout the personal injury claim process to help you calculate the total amount of damages which you are entitled to receive, including the projection of future earnings. If it is determined that the victim of a car accident is able to bring a claim for damages (such as in a situation where the medical costs exceed the insurance policy limits), there are further considerations to keep in mind relating to the Hawai’i personal injury laws. Hawai’i is a modified comparative negligence state, which means that a victim will be able to recover from the responsible party after an accident. However, the amount of recovery will be limited if the victim themselves are found to be at fault. Furthermore, if the victim is determined to be more than 51 percent at fault, they will lose their ability to bring a claim entirely. Any percentage which the victim is determined to be at fault will reduce the total amount of damages the victim would otherwise be entitled to receive. For example, if a victim is injured in a car accident and their total medical bills equal $20,000, they will be entitled to bring a claim for damages, presuming they fit within one of the above-mentioned exceptions to the At-Fault insurance restrictions. If the victim is found to be 10 percent at fault for the accident, possibly due to speeding, the claim for damages must be reduced by 10 percent. Therefore, in this example, the victim will only be entitled to receive $18,000 in damages. The modified nature of the comparative negligence rules further limits the victim from bringing a claim at all if the victim is found to be more than 50 percent at fault. It is therefore important to determine precisely the percentage which your own actions could have contributed to your injuries or the severity of the car accident. There are no specific rules that determine the definitive amount each party is found to be “at fault,” and therefore this percentage will only be reached after discussions and negotiations with attorneys, the court, and the insurance companies involved. If your actions during the car accident led to your injuries, or further exacerbated your injuries, it is important to speak with Honolulu Car Accident Lawyer immediately to determine how your actions could affect your claim for damages. If you or a loved one have been injured in a car accident, do not hesitate to contact Dennis Potts Law. Dennis Potts is an experienced Honolulu Car Accident Lawyer who will fight for your right to recovery after a car accident has left your life in disarray. Car accidents impact more than just your physical well-being, and can have an ongoing impact on your career and your future. The Hawai’i laws relating to car accidents can be cumbersome, and Dennis Potts is here to assist you during this traumatic time and will help determine whether your injuries rise to a level that a claim could be brought outside the insurance policy coverage. Contact our Honolulu office today for your initial free consultation. of Sinus Cancer resulting in death of claimant. trial was set, after successful summary judgment motions. Personal Injury case based on a Pedestrian Accident. crosswalk on a red light. from the ATV and killed after suffering a head injury. I always received professional and outstanding service from beginning to end. I was represented and treated with respect and dignity which resulted in a positive outcome. I would highly recommend with confidence Mr. Potts for legal assistance anytime. "Settlement for a trip and fall"
I slipped on some striping in front of a store, and broke 4 bones in my foot. Dennis was my attorney and was able to get a settlement that covered my medical and hospital bills, plus compensated for the time I was off work. He was easy to work with, responded promptly to my phone calls and very empathetic to my circumstances. It wasn't a large suit, and I was surprised that Dennis settled it for more than I was anticipating. He called me regularly with updates and listened and responded when I had questions for him. It was a pleasure working with him! Clearly knowledgeable and experienced, Mr. Potts navigated the system successfully. He was personable, thorough and well reasoned in every action he took. I felt well represented and would trust him to represent me in the future.